I may have went a little overboard, and trust me, there were many more pictures. These were just the ones that came out decent. This was actually part of the little photo shoot I did for my books at school. I enjoyed doing it. Make sure to follow my bookstagram for posts like these. After Justyce is racially profiled by a police officer, he begins turning to the words of the Rev. Dr. Martin Luther King Jr. Writing letters to Dr. King is Justyce’s way of trying to figure out what Dr. King would do, if in his situation. Justyce goes to a predominantly white private school, he’s there on a scholarship. He does what he’s supposed to do, gets the grades, has the high test scores, yet it doesn’t stop that police officer from assuming the worst of him. After the incident, Justyce starts seeing things in a new light. He starts noticing the injustice for what it truly is. One of the things I really enjoyed about this book was the discussions the students had in their Societal Evolution class. Not only were the discussions relevant to the lives of the students, they were also relevant to current events. These discussions served as an example of how these issues can and should be talked about in the classroom. The character development was wonderful. I felt very connected to many of them and understood their motives. I enjoyed Justyce as a main character. I’m not usually a fan of present tense, but I think it was used well in Dear Martin. I appreciated the contrast between the third person present tense and Justyce’s letters in past tense. There was definitely a lot of thought put into this one. For such a short book, Dear Martin spoke volumes. The fact that it’s divided into two parts really helps the story. The two central events of the story were well developed and definitely impacted me emotionally. This book had me laughing, crying, raging, and wanting to scream. The whole time I was reading Dear Martin, I thought to myself, “This should be a movie.” It would be a great follow-up to The Hate U Give and the story itself is written similar to a film. Nic Stone takes a very unconventional approach to dialogue and I am all here for it. I gave Dear Martin a 5/5 Stars. Have you read Dear Martin? 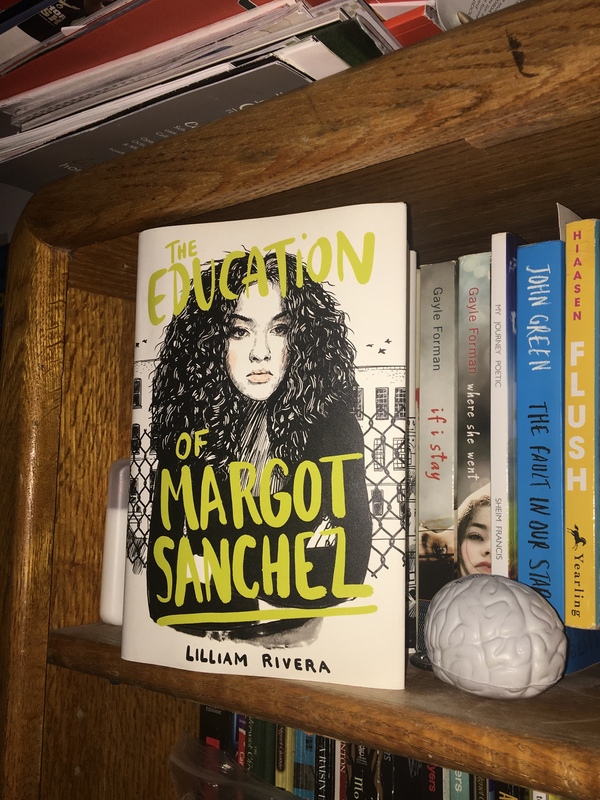 The Educated Negra • This entry was posted in Black Author, Book Review, Books, Fiction, Young Adult and tagged Blogger, Book, Book Blog, Diversity, Race, Racism, Reading, Review. Bookmark the permalink. I also loved Dear Martin and I also think that it would make a great movie. The class discussions reminded me of my college ones.